After i gave birth to my son i started wondering what i would teach him about our family history. Prior to having children i never questioned why my father was in prison or why he did not practice our tribe's traditional customs. This question prompted me to seek out stories and artifacts to piece the story of my father and family together. My older brother gave me this book that was published shortly after my birth. 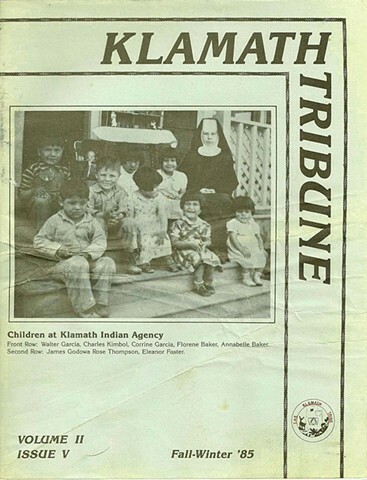 The photo on the cover included my father as a young boy (i estimate 5 years old) after he was forcibly removed from his parents and placed in a boarding school. I found this image disturbing because of the misery on his face and the thought of my son experiencing such misery. I created an installation showcasing all of the artifacts and research i collected on my father's life titled, "What You Left Me: Creating Dad Through Artifact."